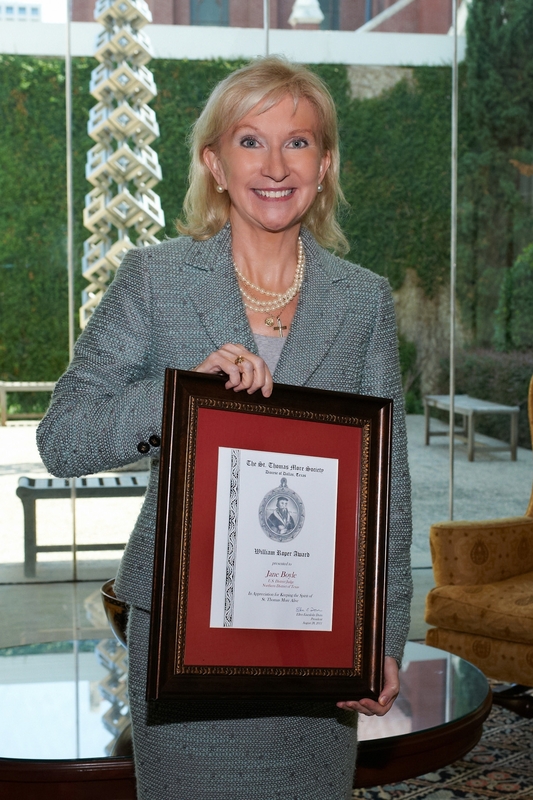 THE HONORABLE JANE BOYLE HONORED WITH WILLIAM ROPER AWARD - Fanning Harper Martinson Brandt & Kutchin, P.C. - Fanning Harper Martinson Brandt & Kutchin, P.C. 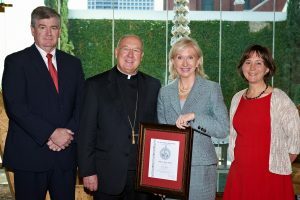 On August 28, 2011, the St. Thomas More Society of Dallas (the Catholic Lawyer’s Guild) honored Jane Boyle, Federal District Judge of the Northern District of Texas, with its William Roper Award. This award is given to a local attorney or judge whose public and private life reflect the life and legacy of Thomas More. FHMBK attorney Ellen Dorn is President of the St. Thomas More Society; FHMBK director Tom Brandt is a director and former President of the Society. The award to Judge Boyle was given at a reception following the annual Society’s Red Mass at the Catholic cathedral in downtown Dallas. The Society sponsors the annual Red Mass on the Sunday preceding the September 1st opening of our Texas courts. The Red Mass is offered to invoke divine guidance and strength during the coming term of the Court.